Performance and performativity are important terms for a theorization of gender and race/ethnicity as constitutive of identity. This collection reflects the ubiquity, diversity, and (historical) locatedness of ethnicity and gender by presenting contributions by an array of international scholars who focus on the representation of these crucial categories of identity across various media, including literature, film, documentary, and (music) video performance. The first section, "Political Agency," stresses instances where the performance of ethnicity/gender ultimately aims at a liberating effect leading to more autonomy. The second section, "Diasporic Belonging," explores the different kinds of negotiations of ethnic performances in multi-ethnic contexts. 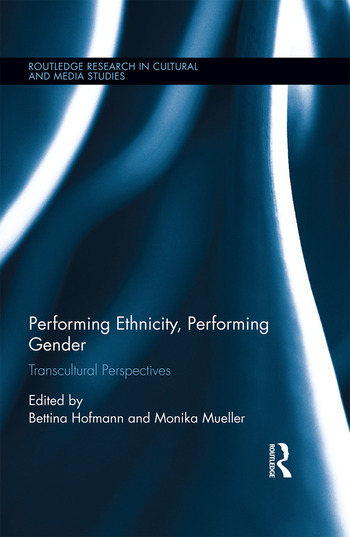 The third part, "Performances of Ethnicity and Gender" scrutinizes instances of the combined performance of ethnicity and gender in novels, films, and musical performances. The last section "Cross-Ethnic Traffic" contains a number of contributions that are concerned with attempts at crossing over from "one ethnicity into another" by way of performance.